Women�s History For Beginners offers a lively, revealing, and provocative overview of this important (and controversial) academic field. Who are the great women of history, and why don�t we know more about them? You don�t need to be a scholar to notice that men�s history dominates everything we learn in school; yet a quick tour of the past reveals dynamic female role models at every turn. This is more than an introduction to women�s roles and contributions across time. It also examines the ways that women in all societies have been ruled by men, according to law and custom. 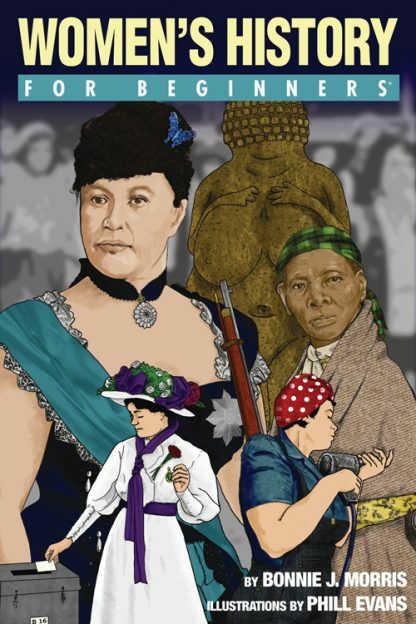 Women�s History For Beginners opens with a critical investigation of why so few of us are exposed to women�s history in our years of schooling�and why educators and political groups remain leery of bringing fair, accurate women�s history content into the classroom even now. It concludes with the reminder that women, too, are divided by race and class and nationality; that there is no one-size-fits-all women�s history but many different versions, each worthy of investigation and understanding. Bonnie J. Morris, PhD is a scholar, teacher, writer, and performer. She has written seven books including Revenge of the Women�s Studies Professor (Indiana Univ. Press) and Girl Reel (Coffee House Press). She lives in Washington, D.C. and teaches women�s studies at both George Washington University and Georgetown University. Since 2000, Dr. Morris has been a reader for the U.S. History AP Exam (College Board Educational Testing Service), and is a scholarly advisor to the National Women's History Museum being built in D.C.
Phill Evens is a freelance illustrator working in Shrewsbury, England. He works entirely digitally but was influenced throughout his childhood by traditional western illustrators and brings the values and skill he learned from their work to his own. He is currently indulging himself in an MA in Design Practice at Glyndwr University in Wrexham and loving every excruciating minute of it.